Pete from aflratings.com.au looks at the average differentials for the Swans. The 2018 H&A season is complete which means the Fantasy research for next season has already begun, over the next few weeks we’ll take a look at a 2017/18 H&A season player average comparison for each team (Minimum 10 games played each season). Warnie & Roy discussed some of the numbers on the final Traders podcast of the season, it is worth another listen again to hear their thoughts about some of the players that will be listed in each team (Starts at 41:25). Expect Dan Hannebery (2018 Ave: 59.9) to be one of the highest owned players at Round 1 in 2019, after 2 years of injury setbacks he is set to make a move to the Saints and should he complete a full pre-season the hype will be in overdrive. Hannebery failed to score 100pts in any game in the 2018 H&A season, he scored 100pts or more in 39.1% of games in 2017. 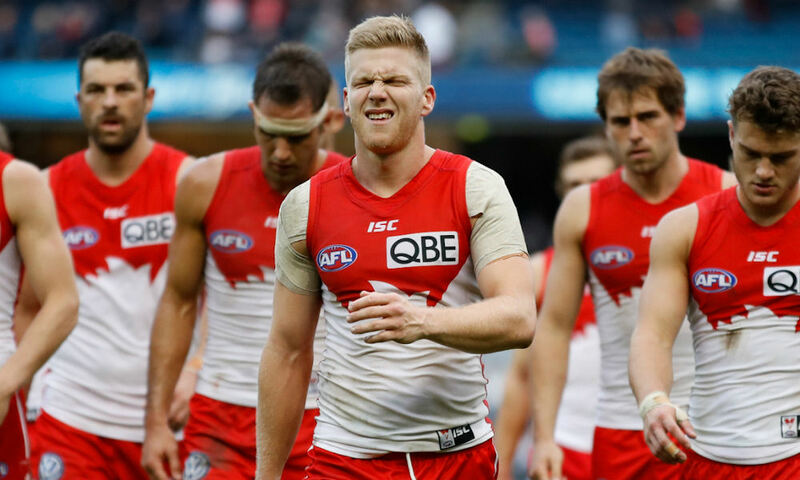 Completing a full to near full pre-season will be a key indicator for fantasy coaches selecting Hannebery, moving out of the restrictive Sydney game plan will definitely provide plenty of upside in 2019. Jake Lloyd (2018 Ave: 101.6) provided defensive stability for fantasy coaches in 2018, he scored 100pts or more in 50.0% of games & 120pts or more in 22.7% of games. Lloyd recently re-signed with the Swans which was good news for fantasy coaches, his role will likely remain the same at the Swans. Fitting Lloyd into a Round 1 team may prove to be difficult if you are also starting with Laird, he will be a trade target at some stage in 2019. It was another flat year for Luke Parker (2018 Ave: 95.4) as he failed to average over 100pts again in 2018, he scored 100pts or more in 38.1% of games & 120pts or more in 9.5% of games. Parker scored 100pts or more in 40.9% of games & 120pts or more in 9.1% of games in the 2017 H&A season, he is still in his prime and will enter the 2019 season aged 26. The mix in the Sydney midfield will be different next season, they are required viewing for fantasy coaches in the JLT Series for potential changes & opportunities. Apologies. Inserted wrong table. Fixed now.